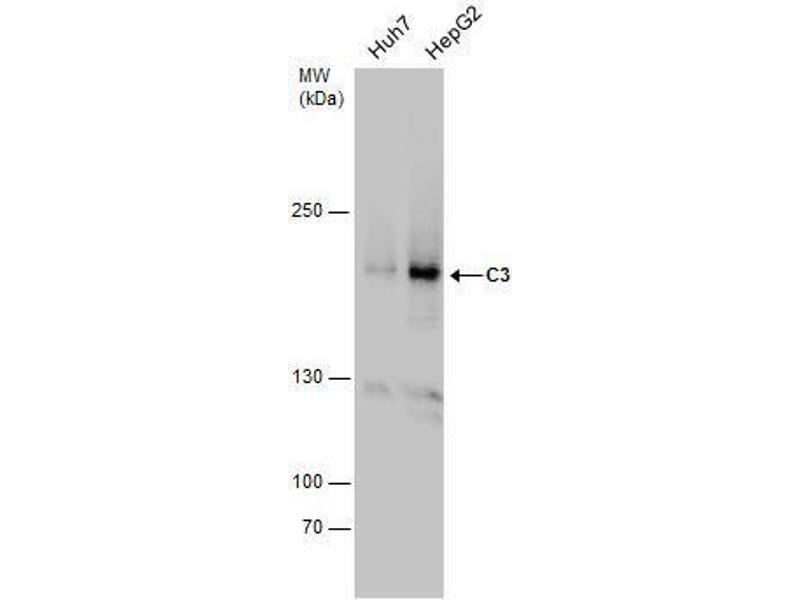 IP Image Immunoprecipitation of C3 protein from HepG2 whole cell extracts using 5 μg of C3 antibody [C3], C-term, Western blot analysis was performed using C3 antibody [C3], C-term, EasyBlot anti-Rabbit IgG was used as a secondary reagent. 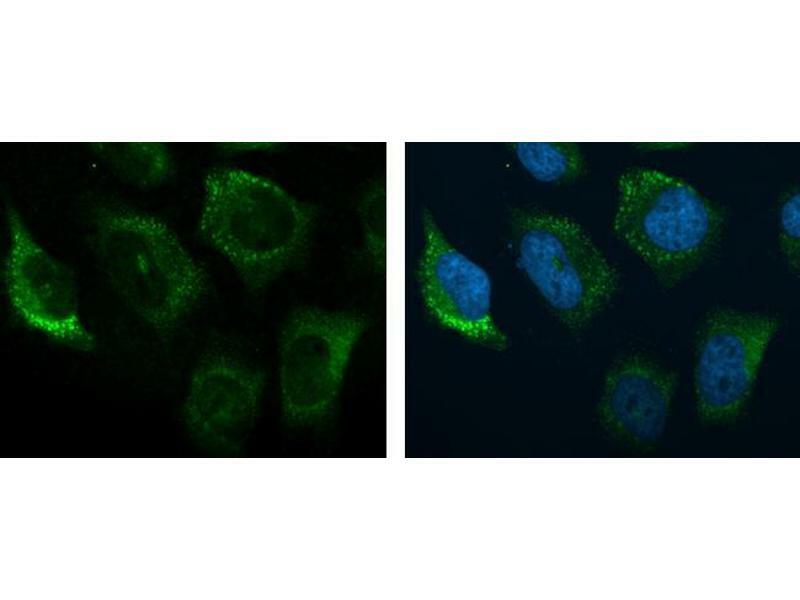 ICC/IF Image C3 antibody [C3], C-term detects C3 protein at cytoplasm by immunofluorescent analysis. Sample: HeLa cells were fixed in 4% paraformaldehyde at RT for 15 min. 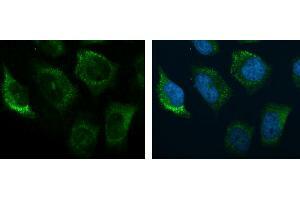 Green: C3 protein stained by C3 antibody [C3], C-term , diluted at 1:200. Blue: Hoechst 33342 staining. 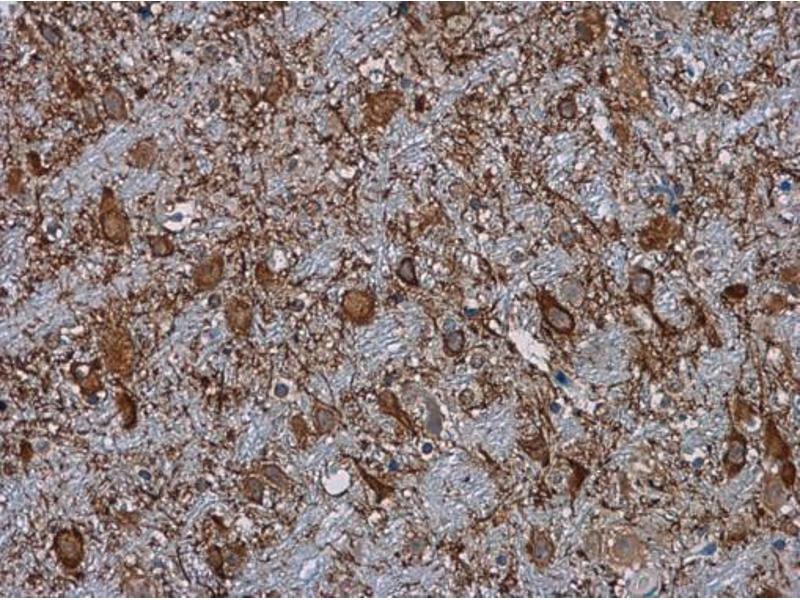 IHC-P Image C3 antibody [C3], C-term detects C3 protein at cytoplasm in mouse brain by immunohistochemical analysis. 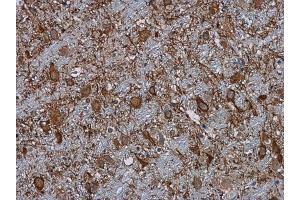 Sample: Paraffin-embedded mouse brain. 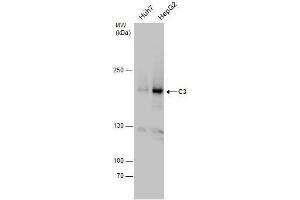 C3 antibody [C3], C-term , diluted at 1:500. WB Image C3 antibody detects C3 protein by western blot analysis. 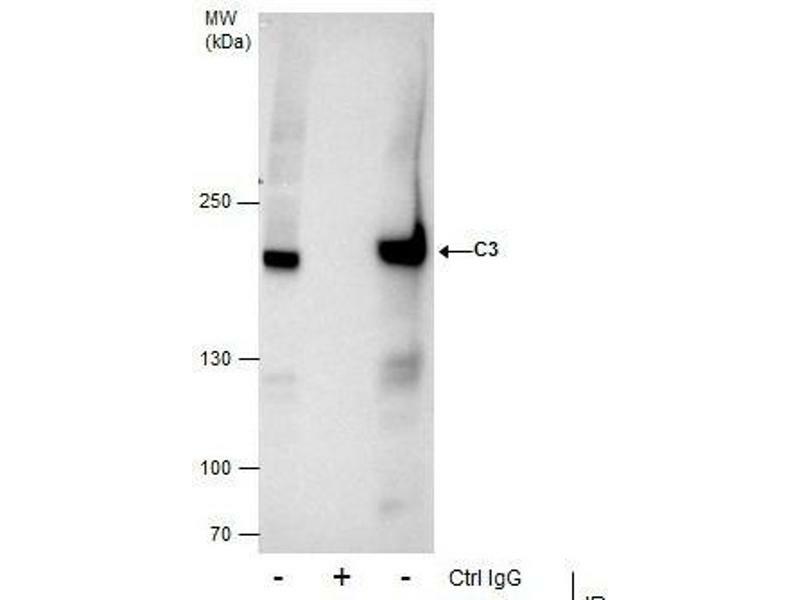 Various whole cell extracts (30 μg) were separated by 5% SDS-PAGE, and the membrane was blotted with C3 antibody , diluted at a dilution of 1:1000. Immunogen Recombinant protein encompassing a sequence within the C-terminus region of human C3. The exact sequence is proprietary. Background Complement component C3 plays a central role in the activation of complement system. Its activation is required for both classical and alternative complement activation pathways. People with C3 deficiency are susceptible to bacterial infection. Buffer 1XPBS, 20 % Glycerol ( pH 7). 0.025 % ProClin 300 was added as a preservative. Precaution of Use This product contains ProClin: a POISONOUS AND HAZARDOUS SUBSTANCE which should be handled by trained staff only.